Home of the ONLY Secondary Music Education Resources you need! Click here for full 2018/2019 product list. All the planning & preparation is done for you! Extremely affordable - booklist for your classes! Musicianship & Aural Training for the Secondary School is a uniquely comprehensive set of music education resources for teaching music literacy, musicianship, theory and aural skills for Years 7 to 12. Using many of the great tools and concepts from a Kodály music education program plus other teaching and learning techniques developed over years in secondary music classrooms around Australia, Deb has created a system of music education suitable for any secondary music classroom regardless of teacher and student background, prior music education (if any) and socioeconomic situation. 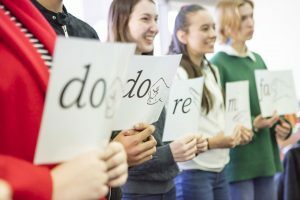 Our resources are designed to teach your students the music language and literacy in a rich, sequential, developmental and engaging way, using music education tools such as movable do solfa, rhythm (time) names and many other innovative techniques. We’ve taken the stress out of planning, with all the work done for you. With 100s of activities, games, worksheets, lesson plans, assessment tasks and audio files, you can concentrate on delivering your program and engaging your students in the language of music while knowing that you are teaching a fully sequential, skills based music education program. The student and teacher books are easy to use, can be adapted to any classroom music program, and include material suitable for all class types and abilities. In addition to the workbooks, students have access to online listening activities, videos and practice exams. We also offer a huge range of FREE resources along with online courses such as our Introductory 10 Weeks of Solfa and VMPC (VCE Musicianship Preparation Course). Year 11 and 12/VCE students, and their teachers, can complete these courses in their own time or within their class program. 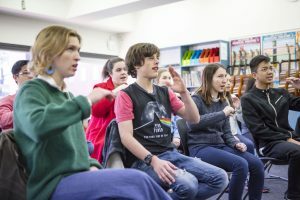 We provide teachers with ongoing support and advice in using the books and we offer school visits, music teacher professional development and workshops for music students and teachers. 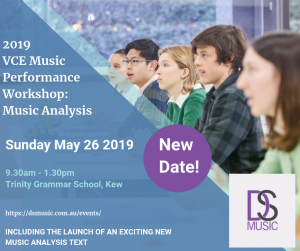 New Date - MAY 26 - for the VCE Music Performance: Focus on Analysis Workshop AND Book Launch! Based on the brand new analysis textbook "Decoding Sound: Music Analysis for the Secondary School" (to be launched at THIS workshop! 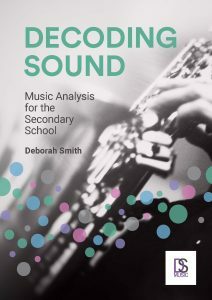 ), author Deborah Smith will take you through a range of activities designed to teach you how to analyse music for VCE Music Performance. Click here to book! To have the knowledge and skills needed to access, understand, analyse and evaluate (listen to, perform, read and write) music with understanding - this is what we all want for our students. Read on to find out how to plan and prepare. The SAC for Unit 3, Outcome 3 - Music Language - includes three parts : aural and theory, written (listening and critical response) and practical. This document will assist teachers in designing and creating a fair, comprehensive and compliant Outcome 3 SAC. Have you registered your Musicianship & Aural Training book yet? Here's a step by step guide to accessing all the amazing digital and online resources you can use with your book. "Thank you so much for your support getting set up and using the complete Musicianship and Aural Training textbooks. The texts are the complete package that fully integrate all of the music language skills required at our school. Not only are the books a significant wealth of knowledge, the online material is used regularly to support differentiation within my classroom." "Just a quick note to say congratulations on the new Level 3 textbooks. I think are simply fantastic. The interactive PDF is a godsend! No more messing around with CD players and less finding additional resources to support students. I can bring one device (my laptop) to class and everything is there. It also makes setting homework for students a lot easier."